CASE IH HAS UNVEILED A NUMBER OF DEVELOPMENTS TO ITS RANGE OF PRECISION FARMING TECHNOLOGIES. AccuTurn is a new option which automates the process of turning on the headland and entering the next chosen pass. Also there are the benefits of the Case IH RTK+ network, designed to provide seamless correction signal coverage for minimum downtime when working with RTK accuracy. In a major development for the AccuGuide auto-steering technology package, Case IH launched a significant update at SIMA in the form ot AccuTurn, which automates the headland turn process and guides tractors accurately into the next chosen pass. Activated at the press of a button, AccuTurn takes control of headland steering to enter the chosen next pass cleanly and accurately. As a result, it works with and enhances the existing AccuGuide auto-steering system by ensuring the entry to each new pass is as precise as possible and helping relieve the driver’s workload. AccuTurn works with both trailed and mounted implements, and the tractor operator is able to adjust parameters such as headland width, the shape of the curve when turning or the starting point for the turn. The distance until the headland turn begins is displayed on the AFS terminal screen. AccuTurn is activated with an unlock code available at cost from the user’s local dealership, and can be implemented on all previous AccuGuide systems working via AFS 700 monitors. Also new is the elimination of the need for the driver to count the number of tramlines when drilling, courtesy of new 3D field maps displayed on the AFS 700 terminal. Passes in which a tramline was set, or needs to be set, are colour-coded. The improved tramline management now makes it possible to make simultaneous use of swath skipping and tramline functions, and the new feature helps avoid tramline errors which can affect application accuracy and be visible until harvest. Automatic guidance systems have typically rounded-off field corners, with 90-degree corners requiring manual steering when being worked. With a new corner function, it is now possible to work every field right into each corner and create 90-degree corners, as the A-B lines on the screen extend beyond the field boundaries. 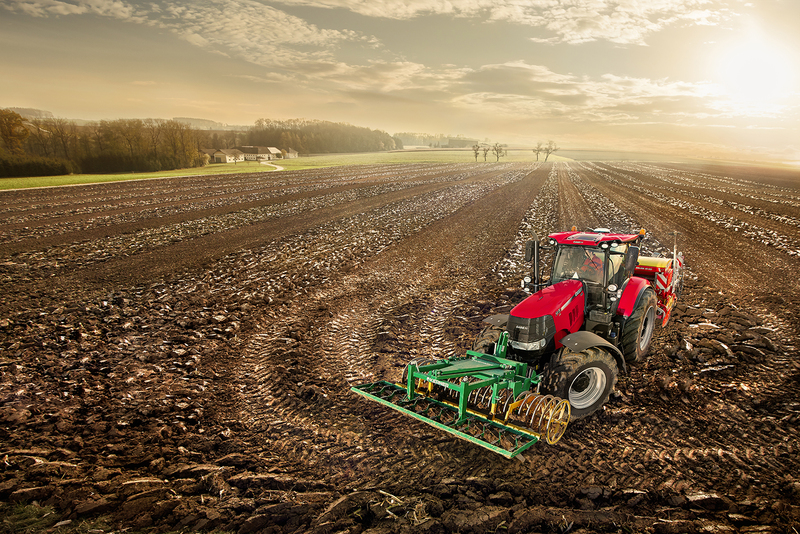 Immediately after the working implement engages in a headland corner, the AccuGuide steering system is activated. Other new developments in Case IH precision farming technology include revisions to AccuGuide operation through the AFS 700 terminal, allowing field boundaries to now also be imported into the AccuGuide system in Shape File format. Different types of Shape File data such as application maps for drilling, fertilising or spray application can be produced externally and imported into the terminal via a USB drive inserted into an existing port on the AFS700 terminal. This eliminates the need to produce an entirely new file using external desktop software, resulting in significant time savings. With ISOBUS devices, it is possible to use the Section Control function single-handed. This makes the setting process simpler and saves time because no documentation is needed by the ISOBUS Task Controller. When the headland is used to the full, the automatic Section Control function ensures that all tools are used economically and efficiently. The ElectriSteer universal auto-steer motor was launched at Agritechnica 2015 and is targeted primarily at small tractors not supplied guidance-ready from the factory, as well as older tractors and combines. The key benefit of the ElectriSteer product over other retrofit auto-steer motors is that it can work in conjunction with the Case IH AFS 700 terminal. Case IH is now enhancing this solution by offering the new AccuStar receiver. The AccuStar receiver offers four accuracy levels: Egnos, AFS 1 (15 cm), AFS 2 (5 cm) and RTK+ (2.5 cm). To use the RTK+ level the signal must be supplied via a mobile phone network. AccuStar uses the exclusive ‘Glide’ technology to boost Egnos signal performance to a new level by means of a position smoothening feature that significantly increases pass to pass performance. The AccuStar receiver can also be utilised as a reliable positioning source for mapping or section control. The RTK+ signal makes it possible to achieve a year-on-year repeatable precision level of 2.5 centimetres, which can be repeated at any time. xFill Premium is a new function that makes it possible to continue working seamlessly without a time limit if the RTK correction signal is interrupted and the existing xFill bridging signal terminates after the standard 20 minute period, or if precision drops below 4cm accuracy. To obtain xFill Premium, an annual licence has to be purchased. The existing xFill (bridging for up to 20 minutes) remains free of charge. For example, Case IH is the first agricultural equipment maker to provide 100% RTK coverage across France, where it benefits from access to 161 correction signal masts throughout the country. 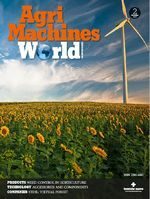 French farm equipment owners are not alone in being able to access this level of signal reliability, as similar systems are available to Case IH users across the UK, Germany, Denmark, Austria, Spain, the Benelux countries, Italy, Bulgaria, Romania and Poland, utilising over 900 reference stations. The RTK+ network is currently growing on average by one reference station per day as the coverage is permanently increased throughout the EMEA region. This means maximum uptime and availability for Case IH RTK+ users, via a centrally-controlled network maintained and monitored by Case IH’s own RTK+ team and its dealers. A new mobile app for RTK+ allows customers to monitor RTK+ network status and the position of their own equipment when their units receive an RTK+ signal via a GSM network. The depiction of vehicle positions in the field through the AFS Connect telematics system has now been improved, with the ‘Fleet History Map’ now showing the direction of travel and, using colour codes, also indicating the activity being carried out. This makes it easier for the owner, the operator and, where relevant, the dealer, to understand the tractor’s activities and the areas of land covered. In addition, should they wish to do so customers can now provide their dealers with the telemetry data of their tractor(s), enabling dealers to provide better levels of customer support. With the latest update, two-way data transfer is now possible for all supported file formats (.cn1, ISOXML). Shape File application maps can also be transmitted via the portal to the AFS700 monitor. Le associazioni come Arproma possono essere un riferimento?